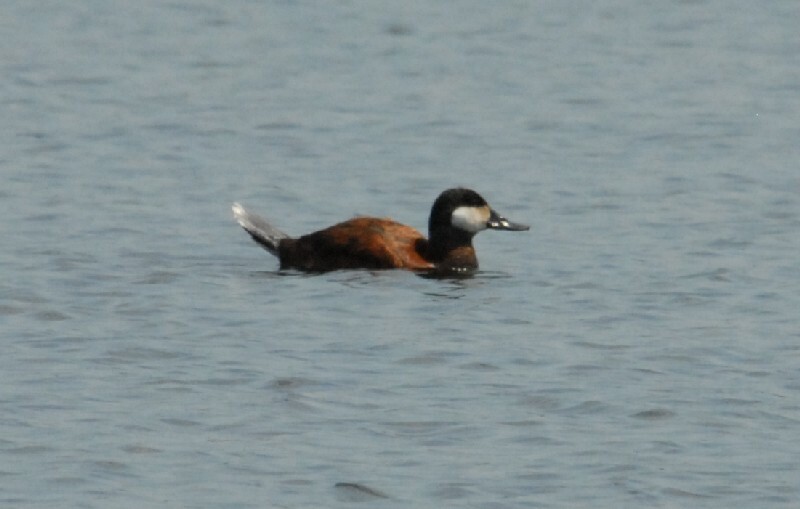 On July 18 Joe Brown posted a message to the ArlingtonBirds Listserv saying he'd seen a male Ruddy Duck at Horn Pond in Woburn. In July??? I went over and was delighted to see it - nice plumage but no blue bill. On July 25 I went to look for the Ruddy Duck (who was there) but this Hooded Merganser (plumage?) was there as well. In July? On July 31 stopped by Horn Pond to check out the ducks again. No Hooded Merganser or Ruddy Duck that I could see. I almost never scan the puddle ducks as it's a popular waterfowl feeding spot (despite the signs), and it's always just a bunch of Mallards and a few ducks of dubious parentage. 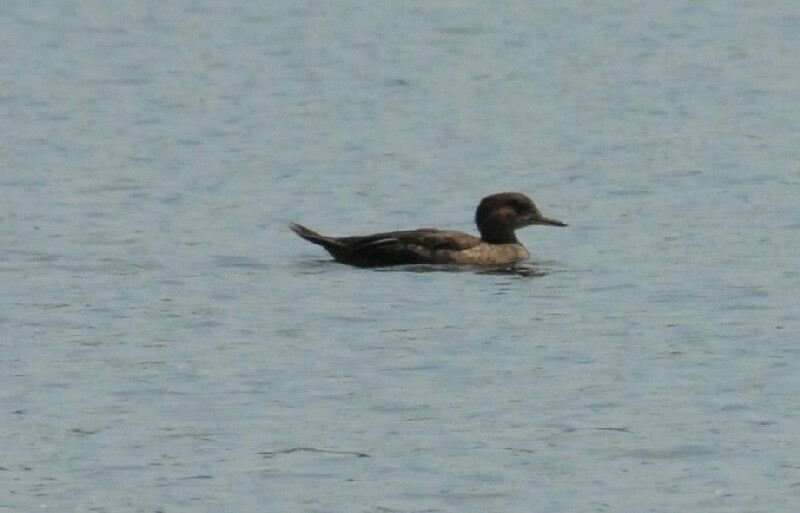 But this duck with a long neck and dark bill captured my attention, and I was astonished to see it was a Northern Pintail. OK, so Hooded Merganser wouldn't be all that whacked out for Horn Pond - there are Wood Duck boxes and ideal habitat. But there is no precedent for breeding Ruddies or Pintail in this part of the state. Unfortunately there is no additional evidence of breeding, but it definitely interesting.